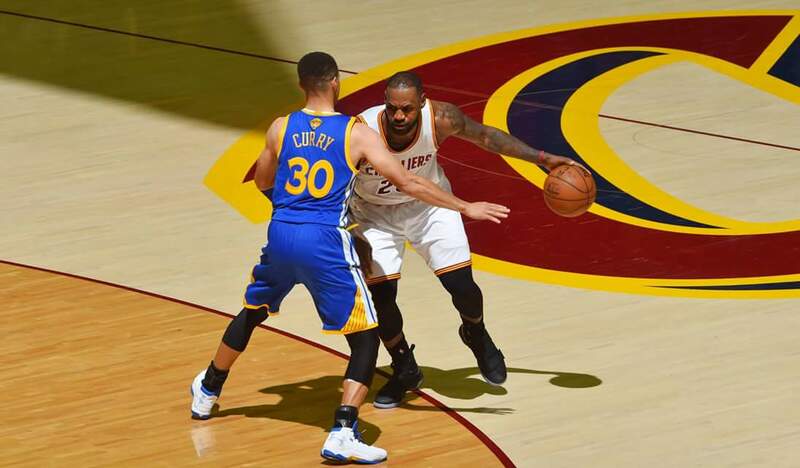 NBA Finals 2016 Live Game 4 - GSW vs CLE - airing now on ABS-CBN. Scores at end of the 1st Quarter were 29-28, just a 1-pt lead by the Golden State Warriors. It's tight, the kind of game we've been wanting to see this NBA Finals 2016. At 1:46, GSW takes a 1pt lead. 74-73. GSW's Curry and K. Thompson now have 23 and 21 pts respectively, while CLE's Irving has 25. At end of 3rd Quarter: GSW leads by two, 79-77. LeBron has achieved a double double here: 14pts, 10rebs. At 5:54, 93-84, biggest lead so far for the Warriors (9pts). With 1:12 minutes left, GSW still leads by 9. 98-89. Irving and Curry from the opposing teams both have 32pts. Game 4 ended with the final scores 108-97. Leading the series at 3-1, GSW is now just one win away from claiming a back to back NBA championship.